Wine reviewers are no different from other consumers: if a producer’s wines put us off, we stop paying attention to that winery. After all, there are 200 other wineries in British Columbia to choose from. About three years ago, samples arrived from Backyard Winery in Langley that were disappointing. I seldom review wines like that. There are two types of wineries that make truly mediocre wines. One lot never get better and occasionally go out of business, so what is the point of writing about them? The other type learn from mistakes, so it is just a matter of waiting for them to come around. Making good wine is not rocket science. I knew Backyard was coming around last year when the winery hired James Cambridge as its winemaker. Perhaps for the first time in its history, Backyard had an experienced winemaker in house. It is time to revisit the winery. This is a winery with a history. It opened in 2002 as Glenugie Winery to make wine from a five-acre block of Pinot Noir. The portfolio was rounded out with grapes and/or wine purchased from the Okanagan. I recall tasting a good sparkling wine called Christina. The other Glenugie wines have faded from memory. Both founder Gary Tayler and his wife, Christina, died in 2008. The Tayler family sold the winery to Ewen Stewart, a real estate developer. The winery needed to be rebranded, so Ewen hired Bernie Hadley-Beauregard, a top notch marketing consultant in Vancouver. Bernie has come up with such inspired winery names and labels as Blasted Church and Dirty Laundry. He suggested several names to replace Glenugie. The initial choice was Neck of the Woods Winery, with Backyard Vineyards reserved for a second winery that now seems indefinitely delayed. Neck of the Woods did not catch on with consumers and the name has been parked in favour of Backyard. The winery, after all, is in Vancouver’s back yard. I never understood why the initial releases under the Backyard and Neck of the Woods labels were underwhelming. The winery was getting consulting advice from both Harry McWatters and winemaker Tom DiBello. I suspect that the winery was unlucky with the quality of Okanagan grapes and/or bulk wine it purchased. That is not an unusual problem for wineries separated from the vineyards by two or three mountain ranges. A winery needs a regular season-long relationship with growers to get reliable fruit. When I recently visited Backyard, I learned that James Cambridge has just been in the Okanagan, meeting with growers. One of numerous visits during the season. That’s a very good sign and something I would expect from as seasoned a winemaker as he is. An Ontario native, James is a graduate (top of the class) from Niagara College’s enology and viticulture program. In Ontario, he worked both with Henry of Pelham Winery and Creekside Winery. Coming to the Okanagan, he has made wine at Summerhill Pyramid Winery, at Le Vieux Pin and LaStella Wineries and, prior to Backyard, at Fort Berens Estate Winery. The 2012 Riesling he made for Fort Berens won a Lieutenant Governor’s Award of Excellence. He took over at Backyard for the 2013 vintage. The wines from 2013 are good. He probably finished the earlier vintages and those wines, with one exception, are also solid. All are very well priced. James also let me taste two promising barrel samples – an elegant 2012 Reserve Syrah and a really excellent 2012 Reserve Cabernet Franc. Keep an eye out for the release of these wines. Located in a spacious building, Backyard welcomes visitors in a tasting room with the civilized atmosphere of a warm neighbourhood pub. There is food service and an appealing gazebo large enough to handle 50 people under its oak-beamed roof. Here are notes on the current portfolio. Prices shown are retail; wine club members get an attractive discount. 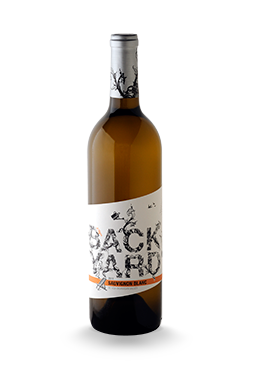 Backyard Vineyards Nosey Neighbour White 2013 ($14.99). This is a good value blend of Pinot Gris, Riesling, Sauvignon Blanc and Gewürztraminer, made in an easy-drinking style. It has aromas and flavours of lime, nectarine and mango. 88. 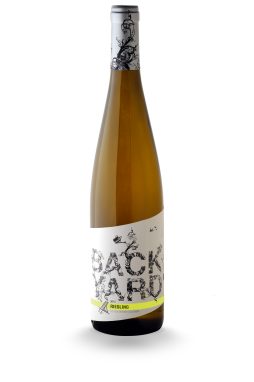 Backyard Vineyards Riesling 2013 ($18.99). James clearly has an affinity for Riesling. This wine has collected gold medals at three major wine competitions this year (so far). A well-balanced wine, fermentation stopped naturally, leaving 10 grams of residual sugar. That seems to pop the lovely notes of lemon and lime in the aroma and on the palate. The finish is crisp and refreshing. 90. 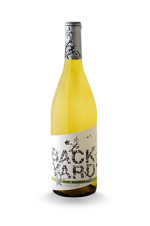 Backyard Vineyards Sauvignon Blanc 2012 ($16.99). The wine begins with aromas of grapefruit and sage, leading to flavours of lime and guava. There is an herbal note on the finish. 88. 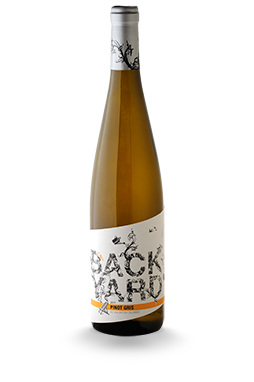 Backyard Vineyards Pinot Gris 2013 ($15.99). Backyard has a vineyard near Abbotsford just coming into production. This wine has about 5% Fraser Valley Pinot Gris, with the rest from Osoyoos. This wine begins with aromas of pear and melon. On the palate, the wine is generous in texture with flavours of pear and apple. It has a crisp finish. 90. 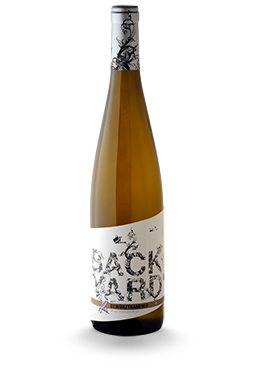 Backyard Vineyards Gewürztraminer 2013 ($17.99). Here is a wine with a gold and two silver medals in international competitions. The wine begins with aromas of lychee, spice and sage. It is full on the palate, with flavours of lychee, melon and fig. 90. Backyard Vineyards Merlot 2011 ($16.99). This soft, mouth-filling wine has aromas and flavours of vanilla and black currant, with a peppery note on the finish. 89. Backyard Vineyards Syrah 2011 ($21.99). This wine has gained three silver medals in international competitions. Made with grapes from an Osoyoos vineyard, it is a bold, dark wine with aromas of black cherries and plums, leading to flavours of plums and prune. There is an appealing earthiness on the finish, along with a hint of pepper. 90. 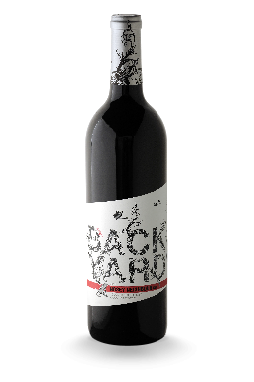 Backyard Vineyards Meritage 2011 ($19.99). This is 44% Merlot, 32% Cabernet Franc and 22% Cabernet Sauvignon. This wine also has silver medals from three international competitions. Maybe I tasted an off bottle but I don’t see it. I found the wine too hard to have much appeal. I would certainly urge decanting. 87. 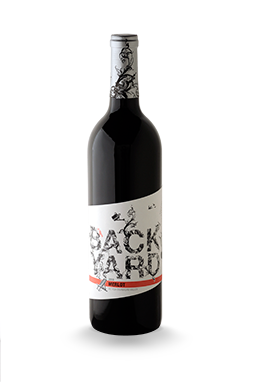 Backyard Vineyards Nosey Neighbour Red 2012 ($14.99). This is 44% Merlot, 43% Syrah, 6% Cabernet Sauvignon and 7% Cabernet Franc. I like this much better than the Meritage, especially at the price. It is a juicy red with ripe flavours of black cherry and black currant. 90.